I love to tell stories – stories which make us laugh, cry or – before all – to make us thinking about the world. And I prefer to do this in the theatre. Some years ago, I was looking for a play about the Alzheimer’s disease, but I couldn’t find one. That’s why I started to write the play “On the horizon” (“Am Horizont”) – the story about a boy who loses his grandpa step-by-step by the disease. I then got several requests to write plays by other theatre directors, e.g. “Restglühen” with the topic of burn-out, or “On ice” (“Auf Eis”) on the subject of Crystal Meth. For me as a theatre maker, it is really important to work “in tune with the times” and to come into dialogue with the public, because the theatre gives us these possibilities – so, let us use them! Petra Wüllenweber was born 1971 in Saarbrucken and studied German philology in the university of the Saarland, and stage direction at the theatre-academy in Ulm. She founded there the theatre “Zeitsprung” for which she also worked as stage director. Since autumn 2010, she worked as a stage director in Regensburg, Heilbronn, Cologne, Bremen, Linz and Hildesheim (a.o.). Her productions were nominated for several awards and invited to festivals. 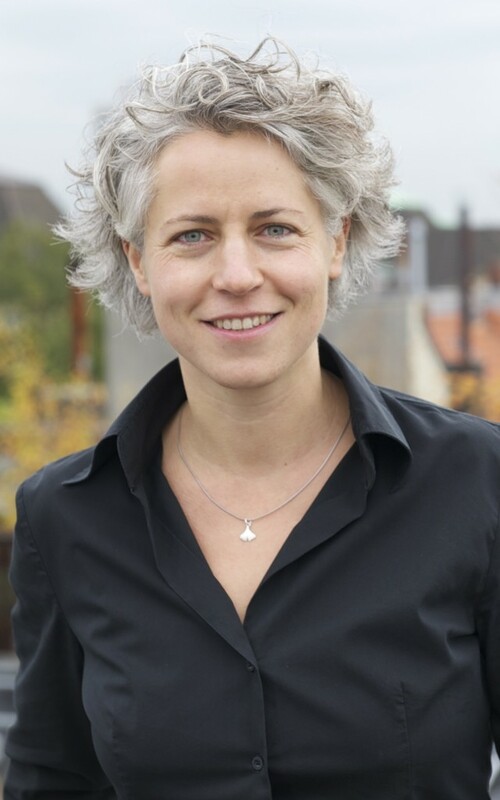 Besides, Petra Wüllenweber works as a playwright. Her theatre-plays “On the horizon” (“Am Horizont”) and “Actually unavailable“ (“Zur Zeit nicht erreichbar”) were nominated for the famous KinderStückePreis in Mulheim 2010 and 2012. In the current season, she stages her own written play “On ice” (“Auf Eis”) in Bamberg. At the last minute, Alex prevents that Eileen was caught fare-dodging. Alex is different than the other boys in Eileen’s class. He knows what he wants. And he has a secret. Eileen is fascinated by the world, which she gets to know with him. But will Alex fit in her life? Marvin, a classmate of Eileen, observes jealously the encounters between the two. One night, he discovers Alex secret and knows exactly how he can use it for his own objectives. But Alex doesn’t want to be manipulated. At the time, when Alex tries to elude Marvin’s influence on him, the situation escalates. All three now have to decide which way they are ready to go. In the play “And tomorrow?”, three different teenagers are in search of their place in the world. They have extraordinary experiences, they try out their limits and make important decisions. Thereby, they are confronted by several questions: What counts in life? What does make a person precious? And can I decide by myself, which way I will go?